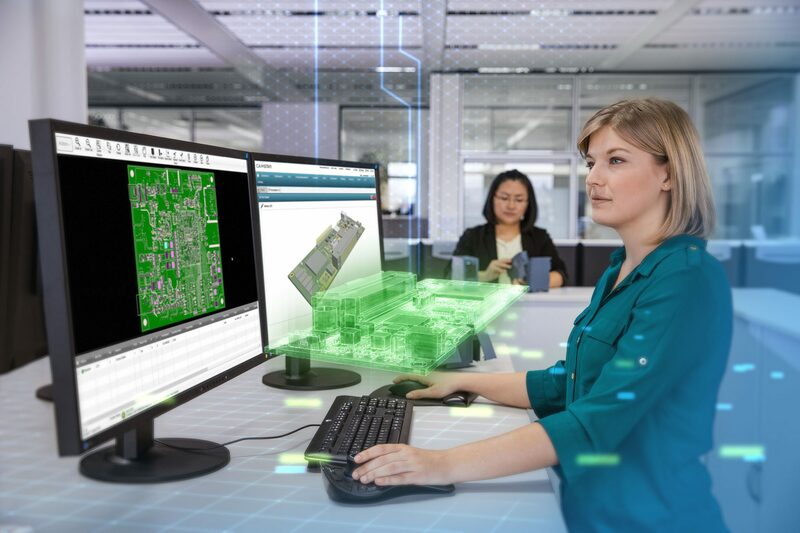 Siemens announced today the introduction of Camstar™ Electronics Suite software, an innovative manufacturing execution system (MES) for electronics. Building on the successful enterprise-level platform for integrated circuit (IC) manufacturing, this powerful, configurable and scalable MES solution enables printed circuit board (PCB) and box assemblers to meet traceability requirements, improve efficiency levels and control manufacturing operations through direct Internet of Things (IoT) connectivity with machines and production lines. Expanding on Siemens’ digital innovation platform, Camstar Electronics Suite creates a true digital thread to empower electronics companies to further their digitalization strategy in line with Industry 4.0. By closing the loop between engineering and the shop floor, and enabling quick reactions to design modifications, manufacturers can shorten product lifecycles, increase production complexities and improve quality across the entire manufacturing lifecycle. Siemens AG (Berlin and Munich) is a global technology powerhouse that has stood for engineering excellence, innovation, quality, reliability and internationality for 170 years. The company is active around the globe, focusing on the areas of electrification, automation and digitalization. One of the world’s largest producers of energy-efficient, resource-saving technologies, Siemens is a leading supplier of efficient power generation and power transmission solutions and a pioneer in infrastructure solutions as well as automation, drive and software solutions for industry. The company is also a leading provider of medical imaging equipment – such as computed tomography and magnetic resonance imaging systems – and a leader in laboratory diagnostics as well as clinical IT. In fiscal 2017, which ended on September 30, 2017, Siemens generated revenue of €83.0 billion and net income of €6.2 billion. At the end of September 2017, the company had around 377,000 employees worldwide.